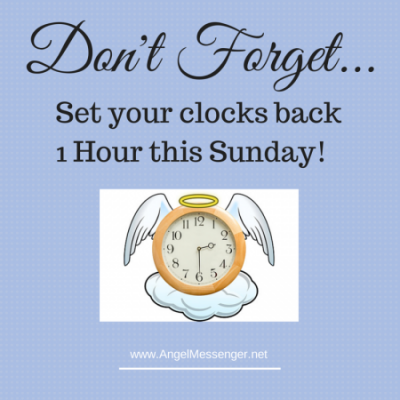 Remember to set your clocks back one hour this Sunday! http://www.angelmessenger.net/wp-content/uploads/Angel-Messenger-Logo-2016-v4.png 0 0 Rev. Sheri http://www.angelmessenger.net/wp-content/uploads/Angel-Messenger-Logo-2016-v4.png Rev. Sheri2014-10-29 08:30:322014-11-04 11:05:38Fall Back this Sunday!